Bollywood heartthrob Shahid Kapoor who was last seen in ‘Haider’, which happens to be one of the biggest hits of the year, in an interview to a leading tabloid stated that there are couple of actors from our industry who inspired him a lot by their powerful performances in their respective films. 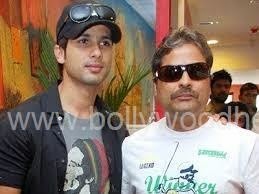 Shahid said, "It has been four-five years since I got that recognition. I need to thank a lot of people, especially those whose performances inspired me. Ranbir Kapoor was ­fabulous in ‘Barfi!’, and when I saw ‘Bhaag Milkha Bhaag’ , I thought Farhan Akhtar has really established himself as an actor. At an awards show, I just stood looking at him, thinking that acting is more about your choices than your ­talent." Currently, Shahid happens to be all busy shooting for Vikas Bahl’s ‘shaandar’ opposite Alia Bhatt. After a string of unsuccessful films, the acclaim that actor Shahid Kapoor got for Vishal Bhardwaj’s Haider has upped his game. It has been four-five years since I got that recognition. I need to thank a lot of people, especially those whose performances inspired me. Ranbir (Kapoor) was ­fabulous in Barfi! (2012), and when I saw Bhaag Milkha Bhaag (2013), I thought Farhan (Akhtar) has really established himself as an actor. At an awards show, I just stood looking at him, thinking that acting is more about your choices than your ­talent," says Shahid. Having worked with Vishal on Kaminey (2008) before Haider, he admits that the filmmaker is possibly the only one who brings out the best in him. "I’ve an amazing bond with Vishal, and I hope he makes all his films with me. But, I also think every actor should get a chance to work with him."